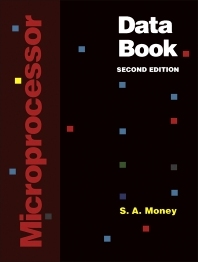 Microprocessor Data Book, Second Edition focuses on the available types of microprocessors and microcomputers, including description of internal architecture, instruction set, main electrical data, and package details of these instruments. The book first elaborates on 4-bit and 8-bit microprocessors and microcomputers. Discussions focus on Advanced Micro Devices Am2900 series, Hitachi HMCS40 series, Motorola MC6801 and MC6803, Motorola MC6809 series, Rockwell R6500/1 series, and RCA 1800 series. The text then examines 16-bit and 32-bit microprocessors and microcomputers. Topics include Intel 80286 microprocessor, Motorola 68010, Texas Instruments TMS9980, Zilog Z8000 series, Motorola 68020 processor, and National 32032. The manuscript takes a look at other support devices, peripheral device controllers, and serial I/O devices, including Motorola MC6850 ACIA, Texas Instruments TMS9902 ACC, Thomson EFCIS EF9365/6, and floppy disk controllers. The publication is a valuable source of information for computer science experts and researchers interested in microprocessors and microcomputers.